We are interested in novel spin textures, especially those occurring in magnetic nanowires and nanotubes. In these, specific effects are made possible by curvature, three-dimensional spin and space, and topology with azimuthal periodic boundary conditions. 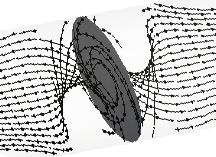 We design and fabricate the systems, image the spin textures, and ultimately aim at addressing these with spin-polarized currents. The applied background includes the proposed concept of 3D race-track memory. This research topic is conducted in close collaboration with colleagues in the Theory group, at Institut Néel, and expert chemist groups in Germany. We aim at investigating the existence and dynamics of motion of 3D spin textures under magnetic field or spin-polarized current. 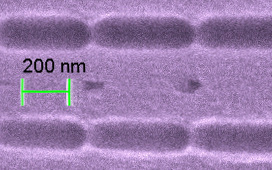 While nanowires have been the initial focus, we are now also developing multilayered nanotubes for their higher versatility for spintronic purposes. Checking the strength of topological protection against their transformation or annihilation is a major goal. 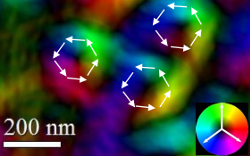 We combine material synthesis, experimental investigations, and micromagnetic modelling. Special samples need to be designed and synthesized to stabilize 3D spin textures, mostly based on bottom-up chemical synthesis: anodization, electroplating, electroless deposition, atomic layer deposition. Magnetic imaging 3D spin textures is demanding in terms of spatial resolution, bulk/surface and multi-components sensitivity. We are developing expertise in various techniques both in the lab and at external facilities. Michael SCHÖBITZ (2018-2021). Joint with Institut NEEL. Prof. J. Bachmann. Department of Chemistry, Friedrich-Alexander-Universität Erlangen-Nürnberg, Germany. Prof. W. Ensinger. Materialanalytik – Technische Universität Darmstadt, Germany. A.Masseboeuf, C. Gatel, CEMES, Toulouse, France. Prof. M. Vazquez, Group of Nanomagnetism and Magnetization Processes, CSIC-Madrid, Spain. Prof. K. Nielsch, IFW Dresden, Germany. J. M. de Teresa, Univ Zaragoza, Spain. A. Fernandez-Pacheco, The Cavendish Laboratory, Department of Physics, Cambridge, UK. Beatrix TRAPP (2015-2018). 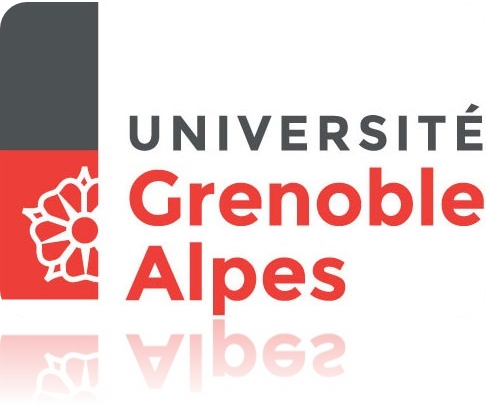 Joint with Institut NEEL. Alexis WARTELLE (2013-2017). Joint with Institut NEEL. Hoel ROBERT (2018). Joint with INAC/MEM.